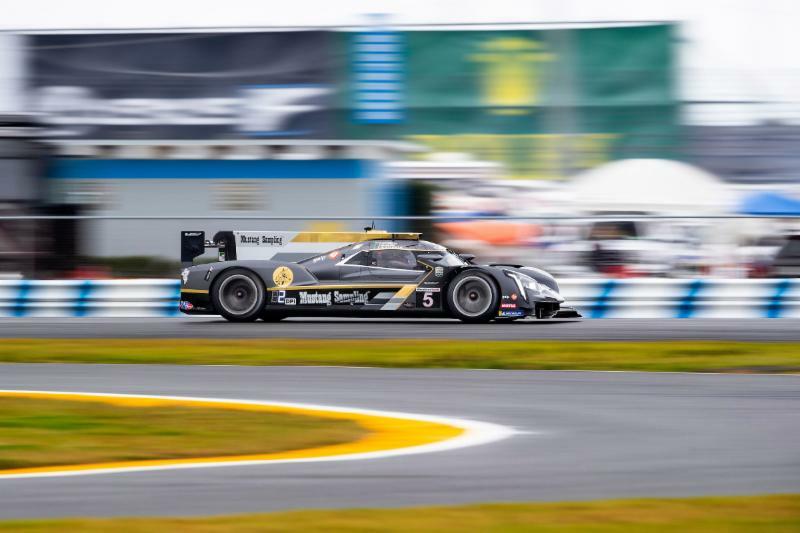 Cadillac’s six DPi-V.R prototype race cars will start the IMSA WeatherTech SportsCar Championship Rolex 24 At Daytona as a pack in fifth, sixth, seventh, eighth, ninth and eleventh for Saturday’s 2:35 p.m. race start. 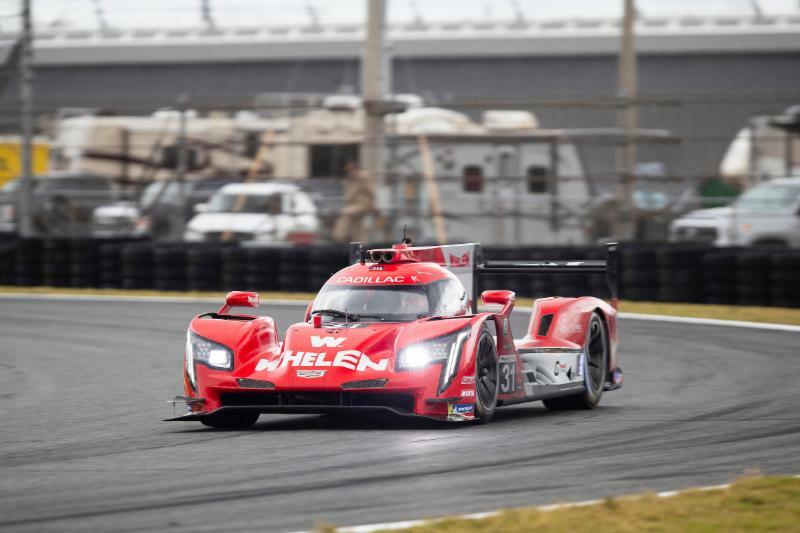 At the drop of the green of the 15-minute qualifying session at the World Center of Racing, the 11-car DPi field got up to speed quickly. Felipe Nasr, in the No. 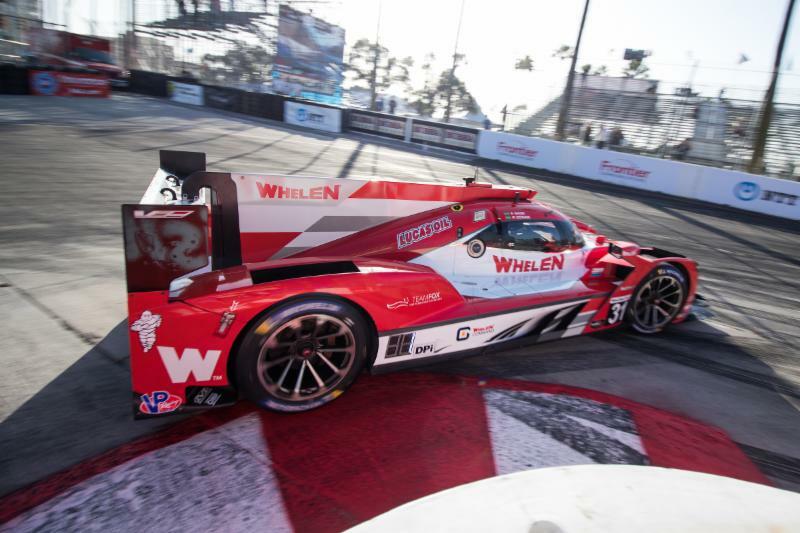 31 Whelen Engineering Cadillac DPi-V.R, led the armada of Cadillac prototypes with a time of 1:34.333 that will have him starting from the third row in fifth. Jordan Taylor had the wheel of the No. 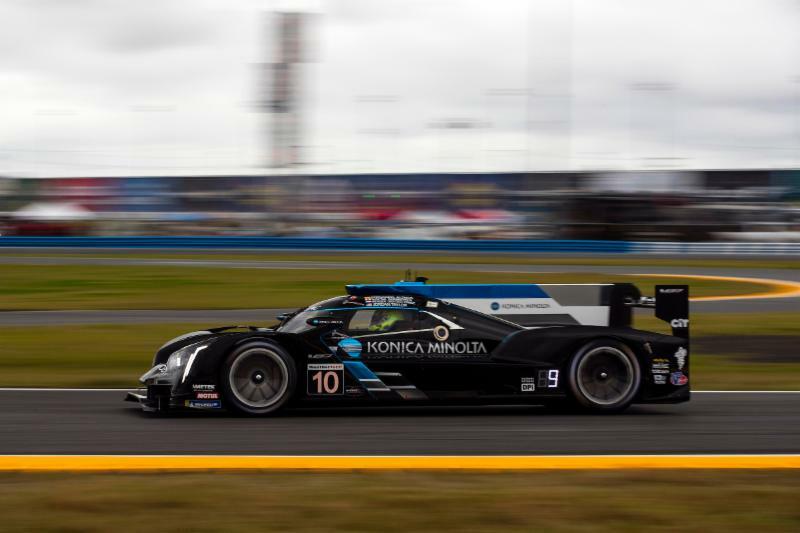 10 Konica Minolta Cadillac DPi-V.R and put in a lap of 1:34.479 that will have the No. 10 going away from the start in sixth. New to prototype racing, Augustin Canapino drove the No. 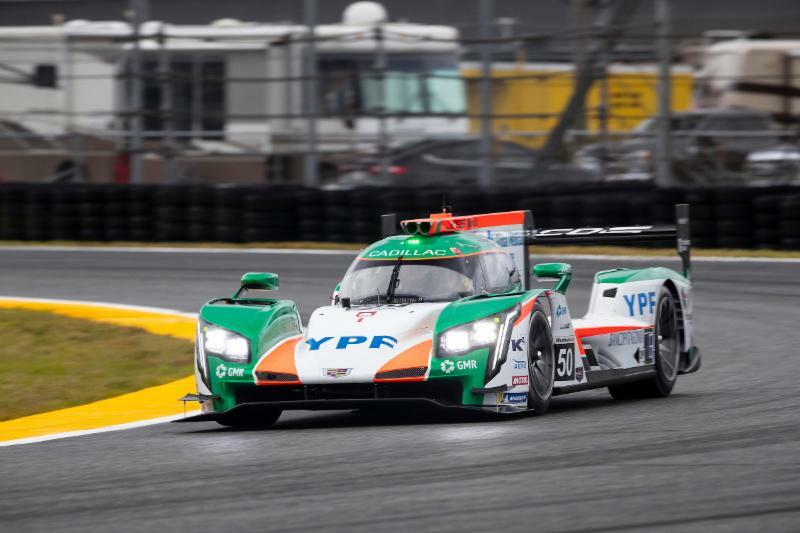 50 Juncos Racing Cadillac DPi-V.R to a time of 1:34.679 good for seventh on the grid. In the No. 85 JDC/Miller Motorsports Cadillac DPi-V.R, Tristan Vautier posted a time of 1:35.369 that will have him starting eighth. Stephen Simpson had the wheel of the No. 84 JDC/Miller Motorsports Cadillac DPi-V.R and will start ninth on Saturday based upon his run of 1:35.442. Filipe Albuquerque reported issues with his No. 5 Mustang Sampling Cadillac DPi-V.R from the start of the session. A mechanical problem at the rear of the car resulted in the team not taking a lap. The defending race winners will start the race from the rear of DPi field. 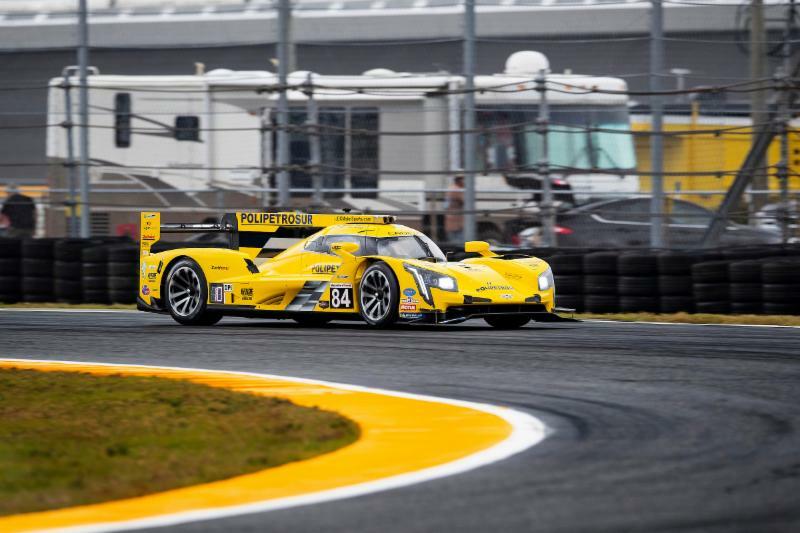 The 57th Rolex 24 At Daytona gets underway at 2:35 p.m. (ET) Saturday, Jan. 26, with pre-race coverage on NBCSN starting at 2 p.m. (ET). Continuing live race coverage will switch between NBCSN and the NBC Sports App. Fans can also listen to live race coverage on IMSA Radio on IMSA.com and RadioLeMans.com, with Rolex 24 race coverage also available on SiriusXM Radio Channel 202 (Streaming 972). The Cadillac DPi-V.R teams won every title in the inaugural 2017 season of the IMSA DPi formula including: Cadillac wins DPi manufacturer championship; Cadillac wins TPNAEC (Tequila Patrón North American Endurance Cup) manufacturer title; Jordan and Ricky Taylor 2017 IMSA WeatherTech DPi driver champions; Konica Minolta Cadillac team champions; Mustang Sampling Cadillac drivers Joao Barbosa, Christian Fittipaldi and Filipe Albuquerque won the TPNAEC DPi driver championship; Mustang Sampling Cadillac won the TPNAEC DPi team championship; Whelen Engineering drivers Dane Cameron and Eric Curran finish second in the driver’s championship; Mustang Sampling Cadillac drivers Joao Barbosa and Christian Fittipaldi finish third in the driver’s championship; Cadillac teams combine to win seven races in 2017: Rolex 24 Hours At Daytona, Twelve Hours of Sebring, Long Beach, Circuit of the Americas, Detroit, Watkins Glen, and Canadian Tire Motorsport Park. 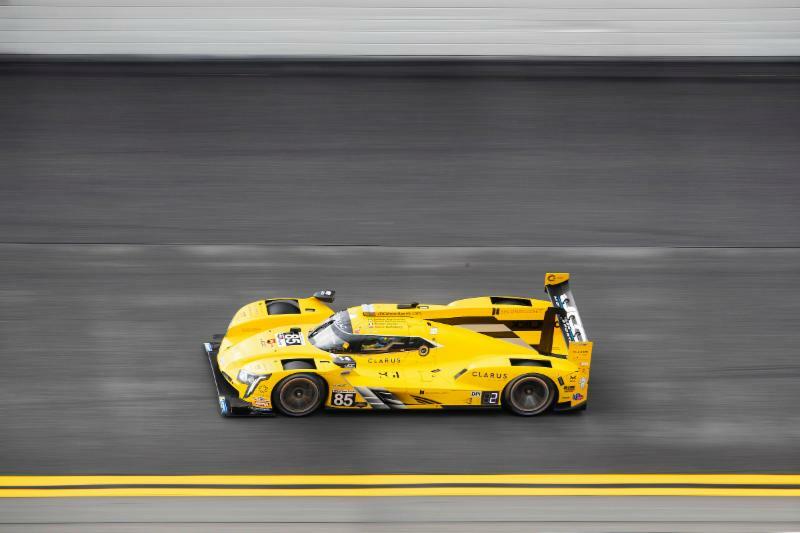 In 2018 the Mustang Sampling Cadillac DPi-V.R won the Rolex 24 Hours at Daytona; Cadillac won the IMSA Prototype Manufacturer Championship; Whelen Engineering Cadillac drivers Eric Curran and Felipe Nasr win IMSA Prototype Drivers’ Championship; Whelen Engineering Cadillac wins the IMSA Prototype Team Championship; Cadillac wins Tequila Patron North American Endurance Cup (TPNAEC) Manufacturer Championship; Whelen Engineering Cadillac drivers Eric Curran and Felipe Nasr win TPNAEC Drivers’ Championship; Whelen Engineering Cadillac wins TPNAEC team championship. 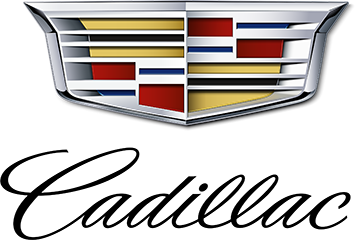 A leading luxury auto brand since 1902, Cadillac is growing globally, driven by an expanding product portfolio that features distinctive design and technology. Today Cadillac is growing globally, driven by an expanding product portfolio featuring distinctive design and technology. More information on Cadillac appears at www.cadillac.com. Cadillac’s media website with information, images and video can be found at media.cadillac.com.